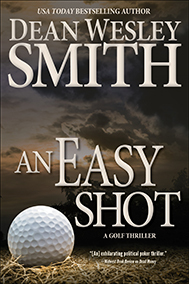 USA Today bestselling author Dean Wesley Smith takes to the links with his lastest fast-paced thriller. Seattle detectives Craig and Bonnie Frakes wanted nothing more than to enjoy each other’s company and their golf vacation in Scottsdale. They needed the rest. But their vacation plans take a sudden turn when they overhear a conversation plotting a murder.